Voting in the March 12, 2019 election has begun. Vote by Mail ballots are being sent out this week. There will be no early voting at the library for this election. It’s easy to get your Vote by Mail ballot. Contact the Orange County Supervisor of Elections either online at https://ocfelections.com or call (407) 836-2070. 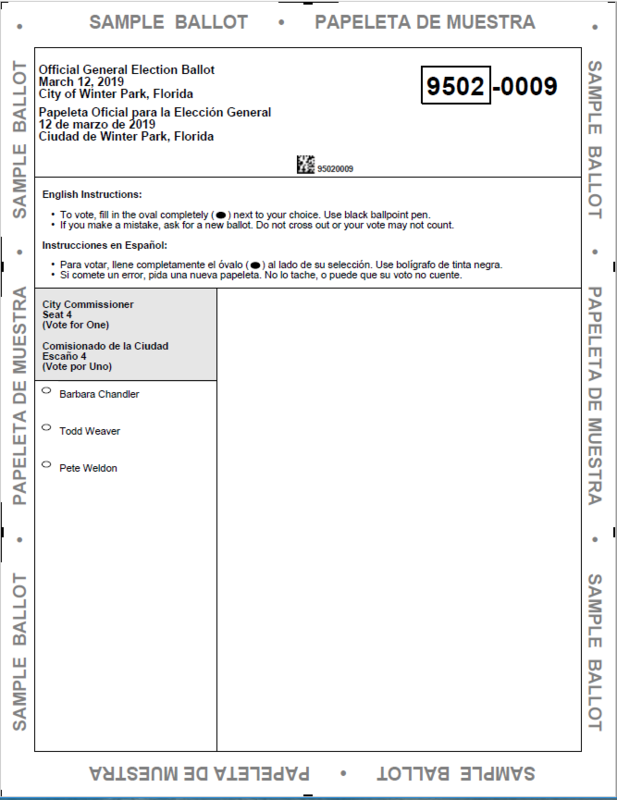 There is only ONE race on the ballot – Winter Park Commission Seat #4. The ballot looks like this. When we all vote, everybody wins! I decided to pick out of a hat this year. One piece of paper folded up for each name, then mixed up. This is totally unscientific, but shows that Weldon could win the election because his name is on the ballot.